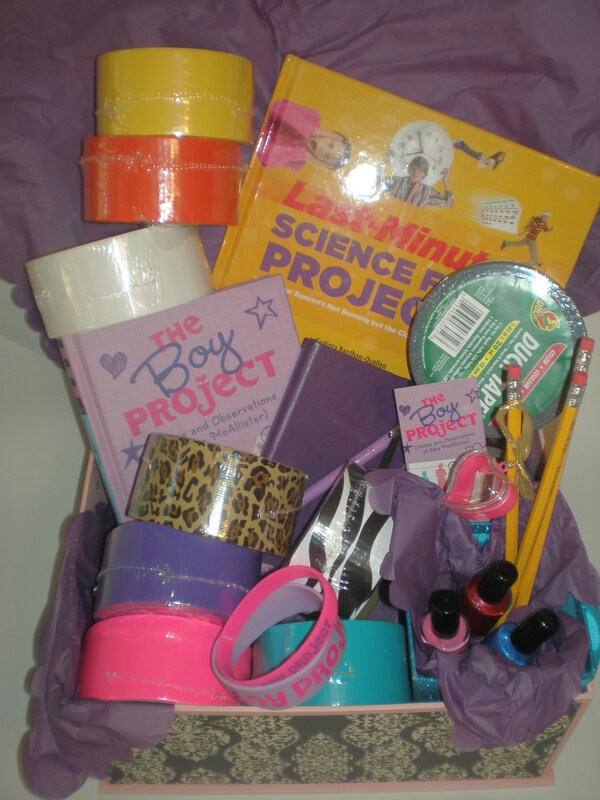 Enter to win this gift box with a Boy Project theme! Pedicured pencils kit in glitter container and a very pretty box to put it all (or most of it) in! Because this is a new blog, there are several ways to enter! 2.Comment on other posts on this site to enter. Add (+1) after each additional entry including those in the future up to Jan 31. Please list your extra entries in the comments like the samples above. If you are already follow this blog, or follow my author page, go ahead and count those as a +1! This is a heavy box, so I’m afraid the full contest is open in the US only. Residents of Europe and Canada who want to participate can enter to win the signed copy of THE BOY PROJECT. Wanna know more about the great stuff in the box and why I picked it? Keep reading! Otherwise, enjoy the contest! You can find out more about THE BOY PROJECT here. There are also links to outtakes that didn’t make it into the book here. 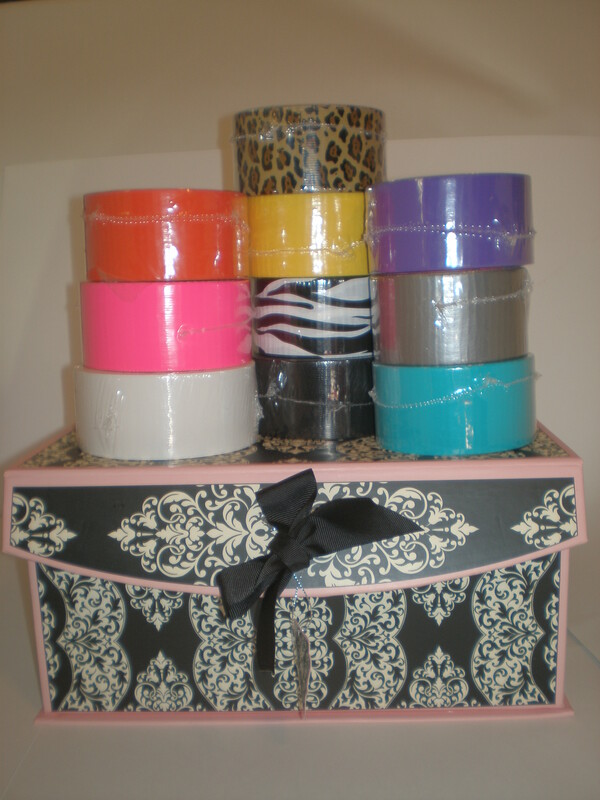 Duct tape: Kara uses duct tape to get out of an embarrasing situation … and she uses it to help achieve her goals! Journal and LePen: I wrote in journals constantly as a tween and teen! And I made hundreds of drawings with my trusty LePen. Pedicured Pencil Kit: Kara mentions these on page 15. If you want to see how the ones we made turned out look here. That’s it for now! Good luck! Pssst… If you haven’t heard about it yet, there is an amazing giveaway over on the Apocalypsies Blog! This entry was posted in Contests and Giveaways and tagged duck tape, duct tape, duct tape crafts, duct tape giveaway, giveaway, THE BOY PROJECT giveaway, Tween and Teen giveaway. ← First Ever Pick of the Chick! Who Doesn’t Love a Hula Hoop? Looking forward to reading “The Boy Project” with my 7th grade homeroom at NCMS in Kershaw County, SC! Awesome prize box! The giveaway contents have made me extra curious to read the book now. Sounds like a lot of fun 🙂 Thanks! Thanks everyone for commenting! Maybe I’ll see you in Kershaw County, Nikki! What an awesomely amazing prize pack!! WOW 🙂 I am really excited for this book! I plan to buy it, read it, then hand it off to my kids school library! YAY. so I think that is +5 🙂 Thanks so much!! I’ve already got a copy on order for my school. That’s a pretty cool box (love all the various duct tape patterns) and the book sounds so good. DUCK TAPE! Sorry, I’m always going to call it that. An annotated copy of your book sounds pretty darn cool, too. Eeek so excited about this book, the giveaway and the box of pure awesome! Thank you so much! I am now following your blog, I liked your Facebook, and I tweeted about it!! Can’t wait to read The Boy Project!! Keeping my fingers crossed until the winner is announced!! Wow so much duct tape! Awesome prize!! I saw the trailer, sounds really funny and amazing! Thanks everyone. I am traveling, so not getting to this quickly, but I appreciate all of the comments! This looks like a really nice gift pack. I want to give it to my younger sister!!! I can’t wait to read your book. This prize pack is adorable. I’m sure my niece would love to have it. Really interested in reading more about the duct tape usage to get out of an embarrassing situation! Love the Blog! Can’t wait to read “The Boy Project” with my sixth grade daughter! I love the duct tape. *looks at her fiancee*lol thanks for the contest. Great give away! So happy for you & your book! duct tape is the best! and what pretty colors! Love it, love your blog! How grat! 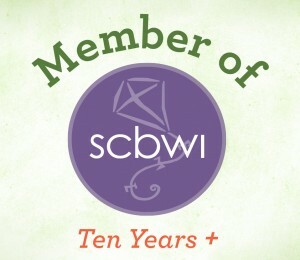 Thanks for announcing your blog launch to your fellow SCBWI Carolina peeps! 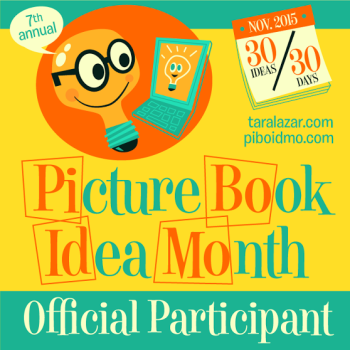 So glad I announced it to SCBWI-C peeps! Thanks to you all for checking it out! Ooo! Pick me, pick me! What a great bunch of give-away stuff – especially the books and the duct tape! : ) I hope you will have many followers on this blog! I had no idea that made duct tape in such an array of colors! Just finished The Boy Project and it made me proud to be a nerdy chick. Nikki read right through her copy and loved it! We are really happy for your success! I love your new blog–what a great look. Featuring different nerdy chicks sounds fun! Your give away assortment is awesome. Best of luck to you in all you do. I am looking forward to reading your book. Rainbow duct tape! I will re-decorate!! And I have been itching to read The Boy Project! !Thanks for the opportunity! Best success on the new Blog! Thanks for the interviews! How cool, Kami. Looking forward to reading The Boy Project. Love the book Kami! Keep on writing! I enjoyed your interview with Audrey Williams.. Looking forward to reading more! Hi All! The giveaway is now closed to new entrants. Thank you all for helping me launch the blog by checking it out and by commenting! A winner will be announced by Saturday, February 4, 2012. Thanks again! Also, I really appreciate your comments about the blog and The Boy Project. I’ve had a crazy schedule these days and haven’t been able to respond to all comments, but thank you, thank you, thank you all! Hi Kelli! This giveaway ended a while ago, but I will be doing other giveaways later. Thanks for stopping by the blog!